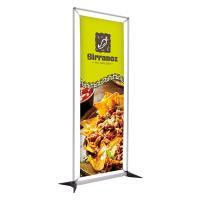 We carry indoor and outdoor banner stands from brands like Magnalink banner stands, Jumbo Wide banner stands, MagicPak banner stands, Silverstep and many other retractable banner stands in fabric or vinyl. 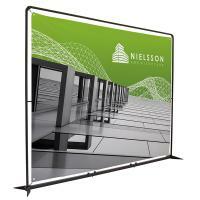 Custom Printed single and double sided options are available with beautiful dye-sub printing or digitally printed graphics of your choice. 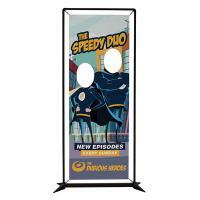 Retractable Banners make assembly and take down easy with internal cartridges that allow you to store and transport your graphics when not in use. 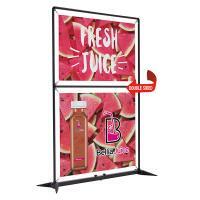 New for 2019! 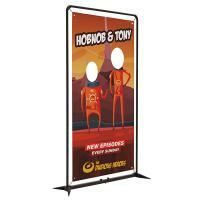 We've added the FrameWorx interactive line of Event/Exhibit Displays with cut-outs for faces, from a single person to 4 people with custom graphic options! 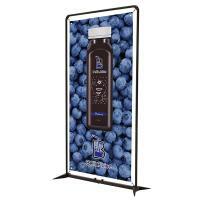 The FramWorx Display System also comes in larger 8'-10' widths with custom vinyl graphics or use your own grommetted banners on their reusable banner stand frames. 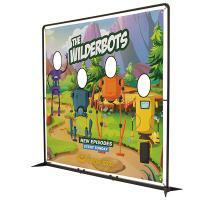 Included in the experiential category are Selfie Frames that you can also customize with your own company logo or artwork. 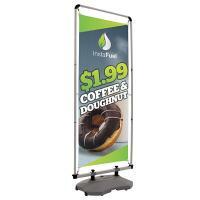 Backlit Banner Stands with glowing LED lights attract passersby to your portable booth while illuminating your logo and messaging. 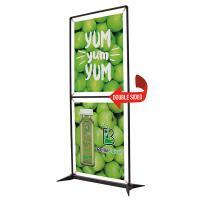 Banner Stands are great for universities, college vestibules, corporate events, large event venues, retail displays and other areas where a free standing display is needed. 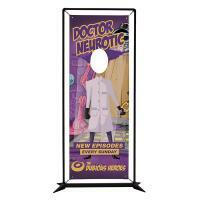 We offer competitive pricing on bulk banner stand orders and our experienced team can answer any questions you may have. Based in Millville, MA outside of Boston, we ship all over the United States and can arrange international shipment as needed. 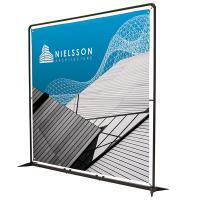 Please feel free to call us regarding any of your next large scale printing projects or for a free estimate.